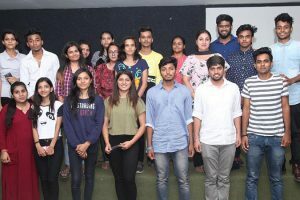 Manav Rachna Dental College, Department of Public Health Dentistry and Clan Water Sharks jointly conducted the initial phase of ‘Smiles in your classroom’ initiative at Manav Rachna International Institute of Research and Studies and Manav Rachna University. 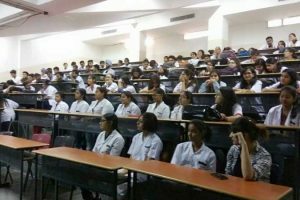 The initiative provided an opportunity to the students and faculty members to consult the dentists and discuss their oral health with them. The program was commenced on 23rd April and concluded on 2nd May. A total of 402 staff and students benefitted from this program. 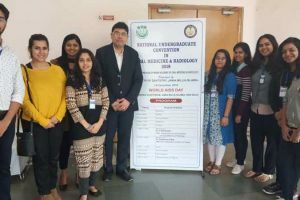 The effectiveness and need of this initiative was palpable by the fact that many students called their relatives for dental check up at the program. 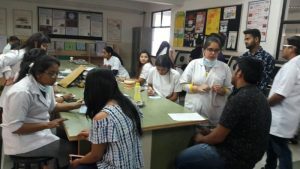 The highlight of the program was that the diagnosis of the students was done on-site and the OPD cards were made so that the time taken in initial registration and diagnosis at Manav Rachna Dental College could be saved. Specialized desk for orthodontic counseling was made available for the beneficiaries. A team of faculty coordinators from Clan Water Sharks ensured the smooth conduct and organization of the program. Everyone participated in the program with great commitment and zeal towards the cause. 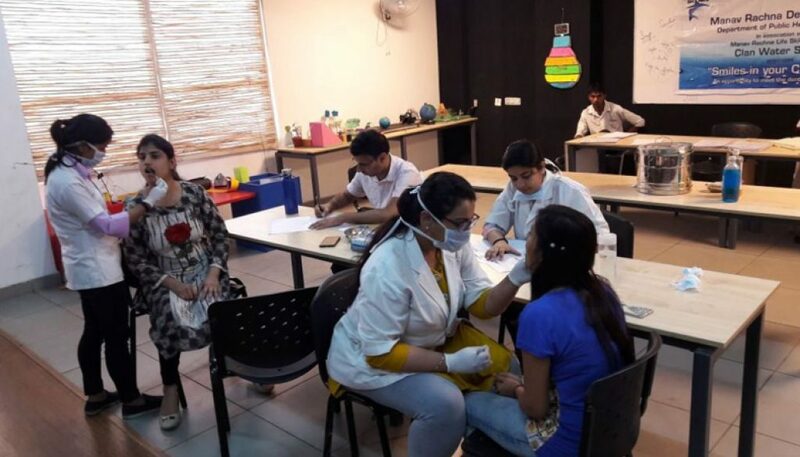 We look forward to a more comprehensive and a longer program in future that includes providing dental-health education and motivation for improving dental self-care in addition to check-up and counselling.